Do you have a unique item that you make? Or, do you have a different “spin” (pun certainly intended) on a common item? Consider volunteering to demonstrate. 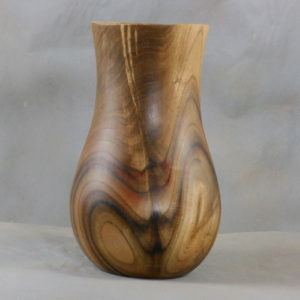 Milwaukee Area Woodturners would like to help you develop into an effective presenter. If this is something you feel like you want to do, contact Tony Rozendaal. If you have something you think you would make a worthwhile demonstration, but you are uncomfortable in front of people, we can work with you to develop your presentation skills. Tom Hipsak mentioned these at the November meeting that the AAW has resources in this area as well. . These are found on the AAW Website under Chapters/Best Practices.